Binomo Review - Is it Trustworthy Service Or Fraud? Binomo has all the necessary products to begin trading and putting your money to work. Website gives off a professional appearance and instills confidence. Advancements in technology continue to promote new investment options for investors and traders alike. That being said, this article will go over Binomo.com, a binary options, Forex, CFDs & cryptocurrencies trading platform. When searching for the right platform to use, it is important to fully understand and know the entity you are entrusting with your money. All of that being said, let us dive into a comprehensive overview of Binomo.com and what they offer. Is Binomo a Reliable Service? From a quick glance, they appear to have an emphasis on the technology side of trading. The company is a trading platform that allows users to benefit from up and down moves in the underlying asset. 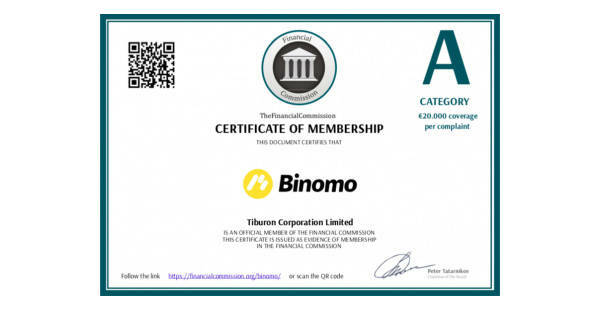 Binomo’s website states they are, “…a trading platform on which you can ear on rises or falls in currency exchange rates and prices for shares or commodities”. They aim to attract all levels of traders by allowing for smooth trading tool utilization. Given the various trading platforms out there that use binary options or binary style products, it is critical that the process is easy and approachable. With the clean website appearance, the first glance appears to be a pleasant one. How Binomo appears to work is when you land on the homepage of the website is you can sign up right away on the upper right hand corner. From there, they give you ability to test a trade out and explain a few other options on their website. The ways you can trade include an “up” trade or a “down” trade. As you might expect, if you believe the market is going up, you would choose an up trade and if the market is going down you would choose a down trade. As with any platform or financial institution, the first question you should be asking is the service reliable. Binary options have gained a reputation of being misleading so next we’ll dive into Binomo’s appearance as it pertains to reliability. At first glance, their website gives off a professional appearance and instills confidence. There are some out there that are lacking in professionalism and that can be a deterrent right out of the gate. From there, we’ll want to look at what regulations govern the company and if they are officially regulated by any independent agency. According to their regulations page, they are a member of the Financial Commission, which is “…a neutral and independent dispute resolution organization that specializes in financial markets”. Since May of 2018, the company has been an “A” category member of the Financial Commission. Essentially this means that Binomo is attempting to be transparent in their operations and provide confidence in their platform. Diving into a little more detail on the Financial Commission and how it benefits traders is first protection up to $20,000 per claim. Secondly, should the need to file a claim arise, you have access to a neutral and impartial party. Lastly, your claim will be resolved with speed. On the company’s FAQ page, it states that Binomo is also certified by the Russian Financial Market Relations Regulation Center, and is currently pending with CySEC and CPO. That being said, take their current regulations and certifications for what they’re worth. It is a good sign they are pending with CySEC and CPO, but this may be something you wait to clear before investing. Binomo has what they call a client agreement, which essential are the standards you will be held to should you choose to utilize the Binomo platform. Readiing through the terms and conditions is important because should an issue or question arise, odds are it is addressed in this document. The first line of the client agreement states that the company is incorporated under the laws of the Republic of Seychelle. These are the laws that the company will operate under, unless the move where they are headquartered. Other items this include are how disputes are handled, as well as other items relating to trading and risks. Regardless if you use Binomo or another platform, be sure to read the legal information to ensure you are properly informed and not blind sided by something. Given the growth of technology and speed with which information is transmitted, having access to the platform and markets at all times is critical. Binomo does offer both an iOS and Android app that allows you to access your account and platform. The only place that seems to have information regarding the mobile platform is near the middle section of the home page. They have QR codes that you can scan, which likely take you to the applications store of your choice to download the app. It also appears there is an app for the iPad. Having a mobile presence is crucial and Binomo has that covered. As with any trading platform, you should review the different types of accounts and find what fits your needs. For instance, a platform for should at least offer a demo account. This allows you to test drive their platform for free, without risking any of your capital. First, Binomo does in fact offer a demo account that gives you a risk free look at the platform. The demo account is free to use and is populated with virtual funds in the amount of $1,000 or $50,000. That being said, check out Binomo for yourself and see if it a right fit for you by opening up a free demo account here! Secondly and the first option for a live account is the Standard option. 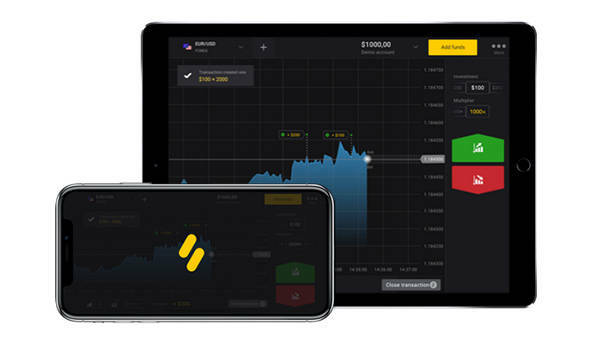 According to the accounts page, this account offers full functionality of the trading platform. Profit states it is at 85%, a minimum trade amount of $1, participation in tournaments, and ability to withdraw profits in up to three working days. There are many other benefits be these are a few for the standard account. Thirdly, the Gold account starts from $500 and offer everything the Standard account offers plus a number of privileges. The Gold account offers an extended list of assets available to trade, expedited withdrawal procedure, up to 24 hours, yield on trades are up to 86%, and investment insurance bonus instruments. It seems this could be a solid option if you are looking to take your account to the next level. The fourth and final account is the VIP account, which starts at $1,000. This is for, “large deposits and offers an individual program account service and exclusive trading conditions”. Benefits include bonuses up to 100%, trade profits up to 87%, ability to withdraw in less than 4 hours, and weekly cash back of 10%. Regardless of which you choose, there appears to be an option to fit most traders needs. Ensuring you have the right account can put your money to work in the most efficient way. At a quick glance, in order to open a demo account you can utilize the Facebook or Google log in option. If you choose not to use those options, you can then enter an email and password to open an account. For those of you located in the United States, you are unable to utilize this platform. Opening a demo account is a stress free way to engage with the platform without risking any capital. If you want to open a demo account, click here! Ensure this is the right fit for you without risking your capital. Once you’ve test drove the platform, you can begin looking at a live account as you see fit. Lastly, we’ll cover the deposit and withdraw process. According to the FAQ page, you can fund your account using a plethora of options, which include Visa, MasterCard, Neteller, and even cryptocurrencies such as Bitcoin and Litecoin. These varieties allow many people to have access to depositing funds to the platform. 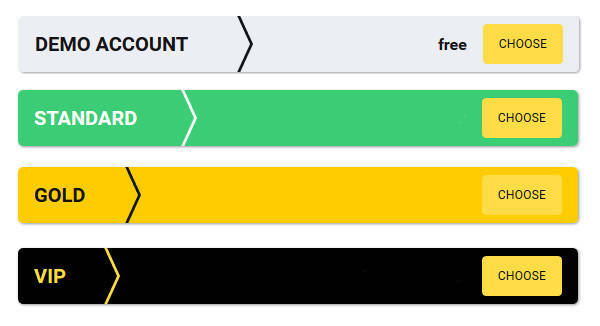 The FAQ page also states that credits to your account are instant, allowing you to access the market quickly. When it comes time to withdraw funds from you account, the minimum amount you can withdraw is $10. You can withdraw your funds to the same account your credited, which are listed above. The length of time it takes to process withdraws can take up to three business days. Overall, the withdraw and deposit process appears to be standard. However, when you deposit funds and take a bonus, ensure you meet the bonus criteria before withdrawing; otherwise you will be assessed a fine. Overall, this trading platform has all the necessary products to begin trading and putting your money to work. However, it appears to be lacking in a few areas such as education, compared to other binary option platforms on the market. The other item to consider the there are not regulated by CySEC, although their website states it is pending. Binomo.com seem to be a straightforward platform that will get the job done, but if you are looking for more Binomo.com may not be the platform for you. Have you ever traded on this platform? Leave a comment below if you have and let the community know what you think. Also, if you have any questions leave a comment below as well, that way a potential user of the platform can answer. I used Binomo when I started trading in September 2018. It was very helpful!